barrel aged | Beer Is God. Woo hoo! For the second year in a row, I am doing the Cask Days day session on Saturday October 24th. This year’s strategy will be very well planned, though. Aim? To appreciate my top ten(ish) beers, eat something meaty, drink a lot of water and feel good about my decisions. My beer list will be posted here, so stay tuned! If you simply can’t wait until late October to get your Cask Days fix, head down to the Evergreen Brick Works every Sunday until September 13th to get a taste of a local cask collab, schedule here. What’s your Cask Days story? Let me know in the comments, or tweet me @ccprmaven. Okay. 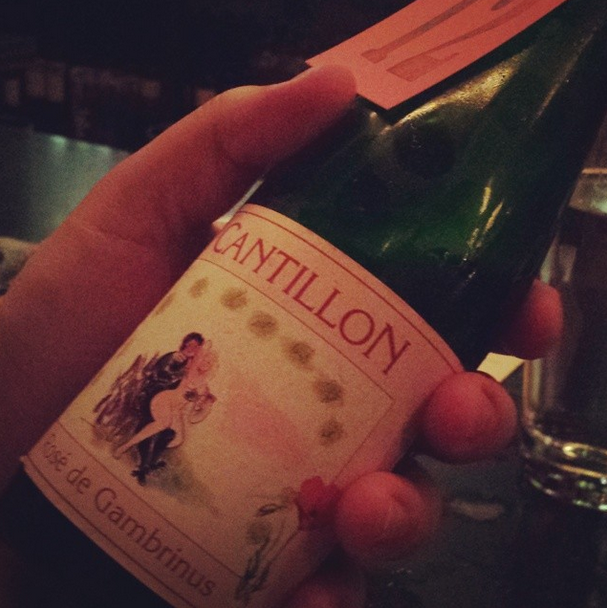 So Cantillon, the mother of all sours since 1900, never has to be “revisited” because it is always the boss. Many people don’t know what it is, though. Especially if you live in Toronto, where the stuff is pretty hard to find (though bar Volo always has the best selection and WVRST has a couple), and costs around $45 a bottle. The LCBO will never carry Cantillon. It’s the one brewery you should definitely visit if you go to Belgium, where you can witness open fermentation in all its musty glory, and apparently has a wicked cool cellar. If you can’t make it to Belgium, head to whichever bar in your city/country is chosen each year for Zwanze Day, a celebration (and exclusive club of sorts) of all things Cantillon. For me, that’s Volo. Though I hope to try many more varieties, the sip of apricot Fou’ Foune I had this summer at Zwanze Day was pure love, and the Rosé de Gambrinus and Grand Cru Bruocsella were as expected: sour, tart. I’d love to try the elderflower Mamouche, and the Muscat Saint Lamvinus (which Volo carries). Until then I will dream of Cantillon. During the next summer, this very thirst-quenching beer was served to the “saisoniers” which were working on the fields. 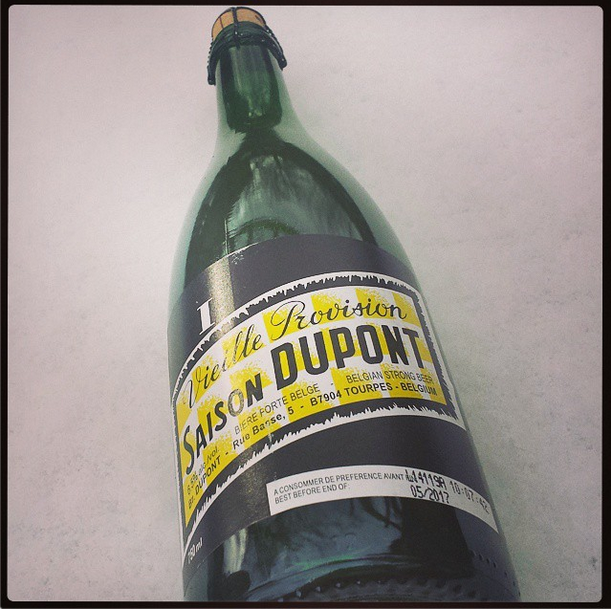 Surely therefore, our Saison Dupont is considered as “the classic” among the Belgian season beers! As the Belgian yeast continues to live in the bottle, further bottle fermentation brings out funkier, bolder flavours in the beer, and allows it to be aged for quite a few years. My bottle, bought in 2014, suggests it can be aged until 2017. It didn’t survive that long though… it’s what I drank on New Years! Since saison is the champagne of beers, I couldn’t think of a better way to celebrate. 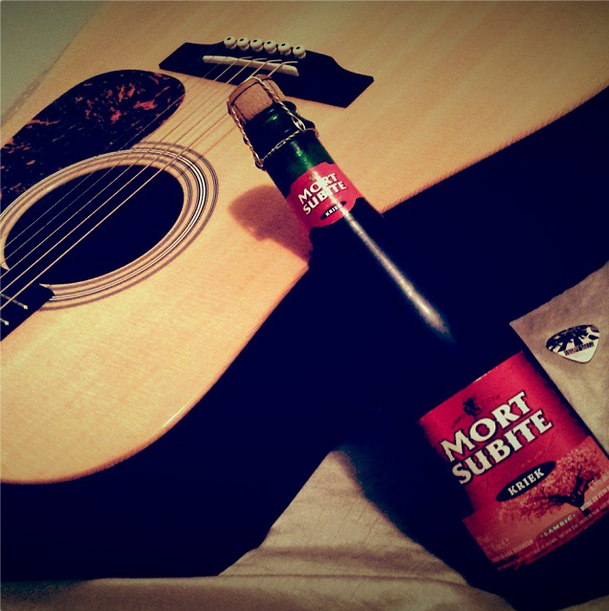 Mort Subite – referring to the “sudden death” round in a card game, or the Mort Subite café in Brussels – is a perfect introductory sour beer. Lightly sour and fruity, it’s a refreshing kriek, and most importantly for us Ontarians, it’s the most widely available lambic sold at the LCBO (and in keg form at The Beer Store)! The kriek is brewed with cherries and elderberries, and there is a raspberry version available in the LCBO as well. There are apparently many more varieties available in Belgium, but alas, I have not tried them. Mort Subite is made by the Belgian brewery De Keersmaeker, which has been partly owned by Alken-Maes since 1989 (owned by Heineken since 2007). One can imagine the beer has been around for quite a while then. Belgian sours undergo spontaneous fermentation due to naturally occurring yeasts in Brussels air. Pretty darn cool. Cantillon is one of the most well-known sours, and one of the hardest to obtain in Ontario, because the way it is made does not mesh with the LCBO’s rules. 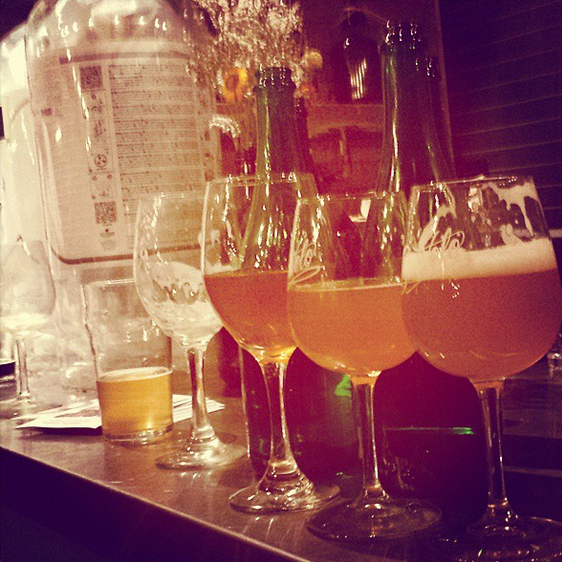 Bar Volo has the best selection of Cantillon bottles in the city. La Palette sometimes has Mort Subite on tap, though. Visit both. I’m pairing Sour Girl with this sour beer. You’re welcome.